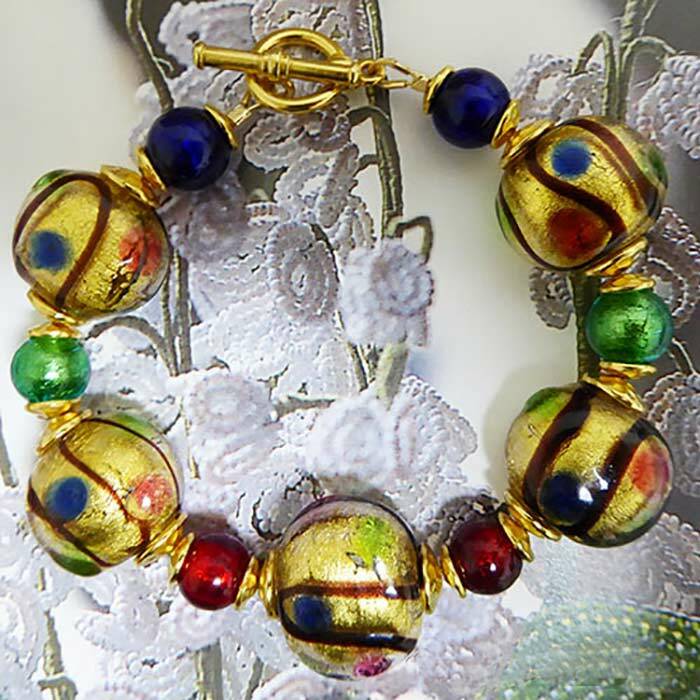 Multi colors of Murano Glass dot each of these 24kt Gold Foil beads. Accents of the same dots of colors join the beads together for this beautiful authentic Murano Glass Bracelet. The length is approximately 7.5 Inches with a Gold Plated Pewter clasp.